I was introduced to The Back Forty when I met Darrell Gurney at a conference in Los Angeles in late 2016. I immediately connected with his mission, and I don’t think he was surprised when I confessed that I’m living my own Back Forty career right now. Like most people, I tend to focus on what’s currently happening, forgetting that I was 45 when I quit my job as a high-power, good salaried health care marketing executive in 2000. Except that the truth is, I didn’t quit my job; I escaped and ran from Shawshank prison. I had prepared my escape quietly, carefully, for almost seven months. There were many discussions with my husband, my lawyer and my accountant. My lists had lists of their own. I read books detailing what it would take to become a solopreneur, and I had informational interviews and coffees with people who had already made the switch. I Googled everything in between. Unlike the many advertising and public relations agencies named for the primary owner, I wanted my new venture to have a name with meaning, which my own decidedly did not. I decided on “odyssey”, because of its secondary definition: “an intellectual or spiritual wandering or quest”. Some might have thought that I simply started doing the same strategic communications projects that I used to do on a “job”, but from home. They were almost correct. What they overlooked was the jubilation infused with the free air I breathed. The work I performed was under terms set only by me. The ability to choose the clients, people and issues I would to support with my efforts, and to dismiss others, was exhilarating. I re-learned my own rhythms, and set my own schedules. Over the next 10 years, I grew increasingly unhappy with unreasonable clients, boring assignments, and even the very skills I used to take pride in. Over time, my new world had morphed into feeling like the old world, beyond my control and a waste of my ebbing time. Worse, it seemed impossible to imagine that anyone would pay me to do anything else (not that I knew what “anything else” might look like). Here’s a sentence you don’t read every day: I was revitalized by social media. As a communications major in college and a professional in the field, I was captivated by the new technology that hopped over TV networks and radio stations and PR folk like me to post its own reality. Simply put, everything old was new again. It took hours for me to finish a simple online article, because any reference that I didn’t understand, such as virtual worlds (SecondLife), or channels like Twitter that took weekends to master, I clicked off to explore and teach myself. My first blog, using Google’s Blogger chronicled a Baby Boomer’s leap into modern communications. Communications Goddess represented the self-confidence I had achieved while sharing my delight at the new tools the Internet steadily delivered. In 2009, I started annual treks to attend BlogHer conferences in New York, Chicago and San Diego. Women – more than 2,000 of them – filled me with their energy and determination to have their voices heard. 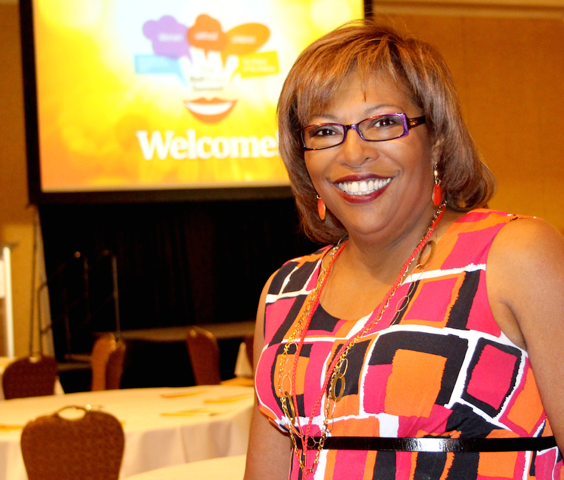 It was at BlogHer that I began to see blogging as a business. Soon after, I admitted that there were hundreds of bloggers with larger audiences, deeper pockets, and stronger resumes across the Net with social media blogs just like mine. By then, I was a 56-year-old woman who was not the mother of a teenager, nor an empty nester, nor a grandmother, nor fertile and still trying to conceive. I was not anti-child, anti-procreation or anti-anything. I was pro-me and, in all of cyberspace, I couldn’t find anyone like me. It hurt. Me, after I found my niche! Someone suggested I start a website, and I responded that there was no way to avoid “mean girls” who don’t like children or their mothers. That’s definitely not me. I thought the subject was closed, until another attendee urged me to follow up on the idea that Madison Avenue and everyone else were overlooking millions of women. I listened, and soon found US Census Bureau reports that the number of American NotMoms was the highest since tracking began in 1976. Today, one of every six American women will never give birth and nations worldwide are reporting historic levels. If a woman isn’t a Mom in our Mom-centered world, she often feels adrift without a tribe, a community of her own. It’s easy for people to accept, without full comprehension, the universal power and influence of the title that is “Mom”. Young Moms, single Moms, special needs Moms, Moms-to-be, adoptive Moms, military Moms, celebrity Moms, adoptive Moms, empty nest Moms, Moms of multiples, mocha Moms, first-time Moms and soccer Moms are all linked at a visceral level impossible to replicate. When a woman is not and will never be any type of Mom, even those women who chose to live childfree may feel overlooked and repeatedly out of place. American in focus but global in scope, The NotMom is distinguished online by its embrace of women who once dreamed of motherhood as well as those who never did. Now approaching its fifth anniversary, the brand engages and influences a growing community of more than 25,000 childless and childfree women age 26 and up through the blog, events and social networks. Last year’s Not Mom Summit. The NotMom Summit, the only conference of its kind in the world, brings these women together offline to acknowledge and enhance the shared aspects of their lives. The inaugural event drew women from three continents, five countries (Canada, China, England, Iceland and the US) and 18 states, proving that the interest in such a gathering has value. 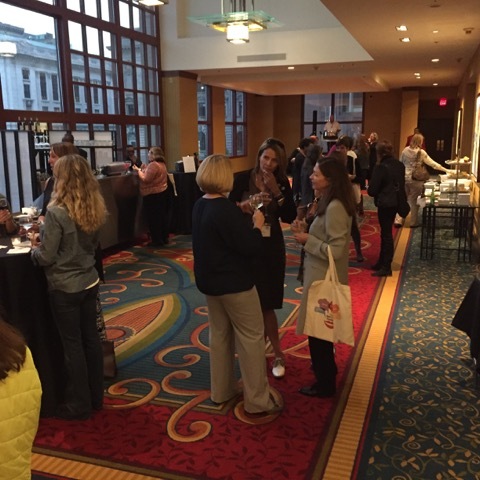 The 2017 NotMom Summit will be on October 6-7, 2017 in Cleveland, Ohio, and once again I am working hard to partner with major sponsors open to recognizing the potential of this important niche market. With my husband’s blessing and enthusiastic support, I am embroiled in the adventure of my life at age 61. The NotMom has won a $5,000 prize from a northeast Ohio program for entrepreneurial women and scored international media coverage including Fortune, Black Enterprise, CNN.com, The Atlantic and The New York Times (twice!). No matter how this story ends, I will never regret chasing a dream to find my own community, and to help other women find theirs. Karen is the founding voice & chief executive of The NotMom.com and featured by The New York Times as a leading expert on issues about women without children by chance or by choice. For more information on the 2017 NotMom Summit, go to: https://notMomsummit2017.sched.org.